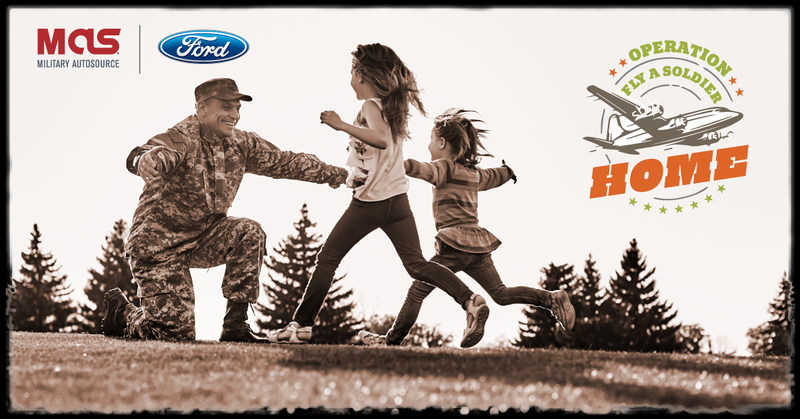 For the first time ever Military AutoSource (MAS) is proud to launch Operation Fly A Soldier Home contest. This one-of-a-kind contest is a chance for U.S. Military members stationed overseas to share their store explaining why they or a soldier they know stationed overseas should be flown home for the holidays or an important family event. We know how expensive it can be to fly home so our mission is to reunite soldiers with their families after long and challenging deployments. Our inspiration is the men and women of our Military who sacrifice everything for us daily. We believe finances shouldn’t keep a soldier from their family! 2. Enter your information in the form, and share your story up to 5000 Characters. 4. You have been entered!